With the advancement in communication technology, it is now possible to conduct video calls between two or more individuals situated at different locations. This type of communication is referred to as video conferencing. 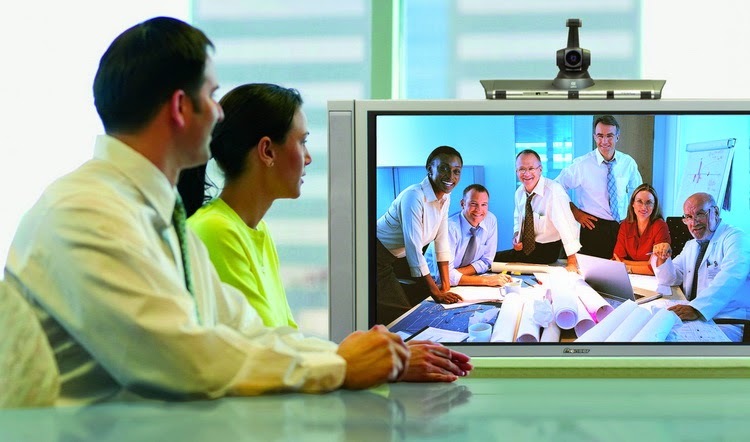 Videoconferencing implies conducting conference between two or more participants present at different locations by using the computer network for transmission of audio and video signals. Video conferencing enables businesses the ability to meet with others who are at a far away distance. This in turn reduces the travel cost as well as time. This technology is sometimes used to conduct interviews. As the name ‘Videoconferencing’ suggests, some kind of equipment’s are definitely required and are to be installed. There are various organizations which provide easy and simple solutions for video conferencing. They are equipped with specialized engineers and networking professionals who are capable enough to simplify the video installation. Apple is one such company which have simple video installation technology. Apple TV simplifies the conference room deployments. The Apple TV is well known for its simplicity and cost efficiently solves the vexing challenges which plague many business organizations. The device is small in terms of looks but has very high capacity. The small size of the device makes it easy to mount at the back of large screen by using only zip ties. Then a simple HDMI cable is added to establish connection between the display and business place. Once linked with the screen, the device can easily connect to iOS and Mac devices including iPads and iPhones. All the contents are displayed on the screen. Only a few clicks are required to complete setup. Both the video and audio signal is forwarded from the connected device without the requirement of any additional cables. Making it simpler, wireless connectivity is also possible for Apple TV to work. Most of the organizations have existing 802.11a, b, g, or n Wi-Fi network. The set top box can be easily connected to the Internet. Also a wired Ethernet port is available with the device which makes it possible to connect to the wired networks is Ethernet connectivity is available. • Interactive discussion between local presenter and individuals from different locations. This also requires multiple screens, intelligent technology and video codec. The powerful combination of software and hardware is the prime foundation of simplicity. It acts as blueprint to help the customers to create a presentation type video conferencing environment. Almost all business organizations want an effortless method to build video conferencing room with consistent feel and appearance. The integrated systems provided by Cisco are the appropriate approach for this purpose. These systems include screen, camera, codec and user interface which makes it a clean, user-friendly and beautiful design. There are several companies that offer simple solutions for video conferencing system installation. With their system, just push a button and one can get instant access to the face to face discussion with clients, customers, partners, suppliers and employees over video. When paring with some applications, one can start multiparty calling with just a click on a name present in the dictionary. Even mobile devices can be included in the conversation. Not only this, recording of the events is also possible and can be retrieved later on whenever necessary. All an organization needs to select a capable and expertise in the domain of video technology and the rest is on the provider. Simple video installation helps the organizations a lot in terms of using the system and also saves money by avoiding expensive complex hardware. What you think?? share with us in the comments below. Michelle Patterson is excited with the new technologies that are threatening to change the way we stay in touch and communicate, particularly in business. She works with companies that are introducing these technologies to make understanding them easy for regular people.